Many towns and villages in Merseyside are outside the national gas grid due to their rural locations. The best solution for residents and business owners in this position is LPG – providing a clean and efficient fuel source for their heating, hot water and cooking. We are ideally positioned to supply Merseyside and the surrounding towns (such as Liverpool, St Helens, Warrington and Ormskirk) with tankers supplying the area from either our Preston or Ellesmere Port locations. Both locations have great access to Merseyside’s major roads ensuring our LPG delivery service is efficient and our LPG price is competitive. Merseyside seems to be a popular place for LPG metered estates with farmhouses and barns being converted to domestic homes. 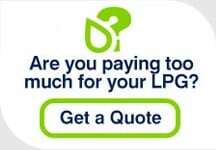 Merseyside LPG users can find more general information on the following pages: Domestic LPG transfers, Metered LPG transfers and Commercial LPG transfers.